To help you choose the correct size, we have measured many of our garments ourselves, they have not been taken from any table. 1. We recommend measuring a garment that fits properly, preferably placed on a flat surface, and on it compare the measurements. 2. The knitwear gives a little more. We add a visual reference with your legend, for a better understanding of the measures to be taken. 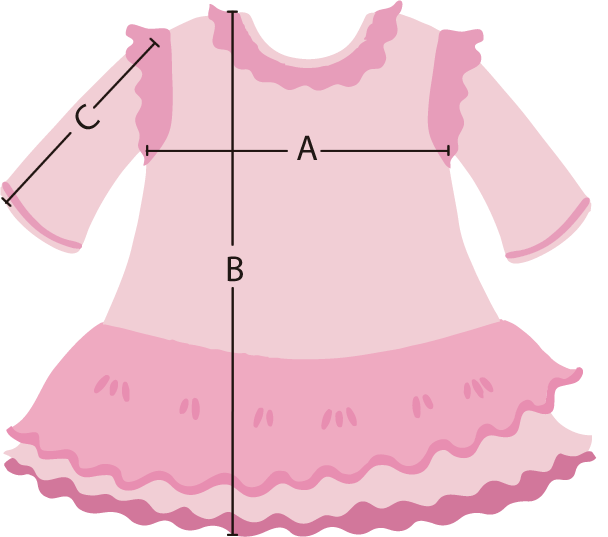 - B (Pledge length) Measure from the shoulder to the bottom. - C (Sleeve) Measured from the shoulder to the fist. - D (Waist) Linear measurement of the waist. Taken with the stretched rubber. 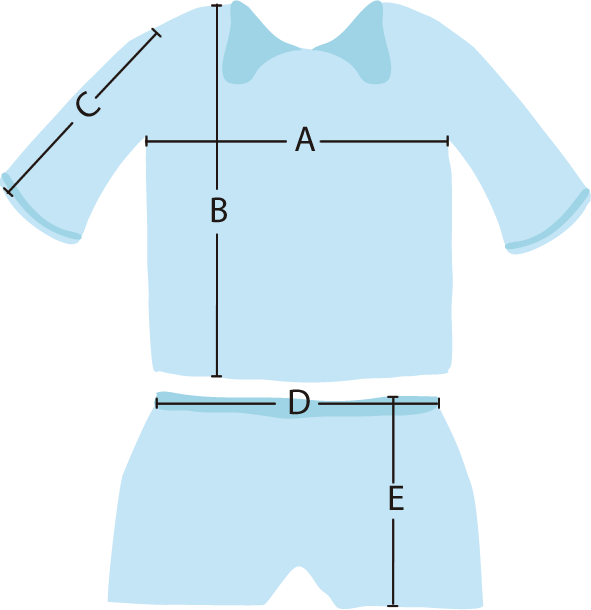 - E (Bottom length) Measured from the waist to the bottom.